Easter is an exciting time in Amherst as it signals the beginning of the spring season. The bounty from Pioneer Valley will begin to sprout and bring new life and delicious ingredients to all of our guests. 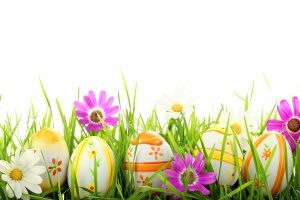 We invite you and your family and friends to celebrate Easter with Brunch at 30Boltwood on Sunday, April 1st. All guests will be invited to help themselves to the Starter Market Buffet which includes a selection of freshly baked breakfast breads, local yogurt and cheese, and a various assortment of smoked and cured meat and seafood. Guests will then select one entree and one dessert from the menu to complete their meal. Entrees include a choice of either eggs benedict, grilled lamb brochette, classic Belgian waffles, delicious steak and eggs, mushroom quiche, and other farm-to-table inspired options. Desserts include a choice of our smooth lemon tart, decadent peanut butter semifreddo, or an updated version of carrot cake. Soft drinks, tea, and coffee are included in the price, and price per person does not include tax or gratuity for your server. To make reservations, please call 413-835-2011.